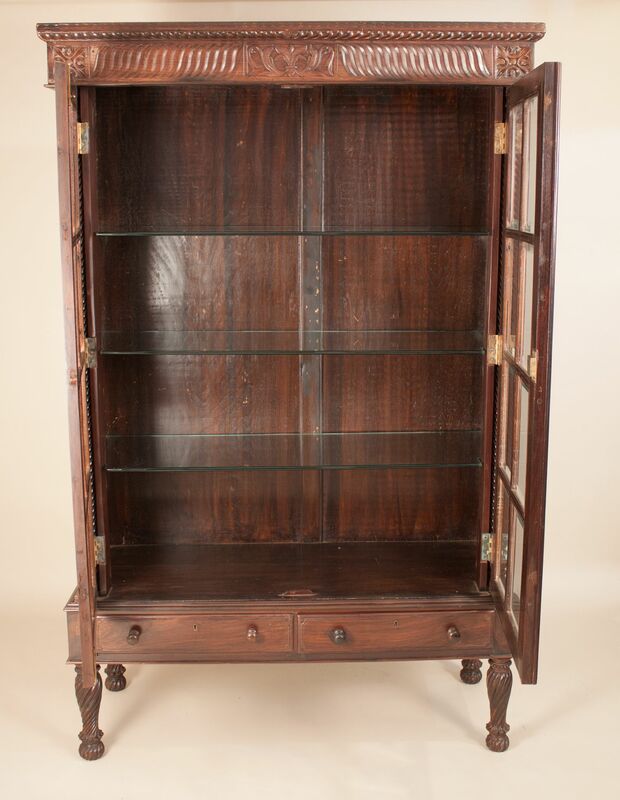 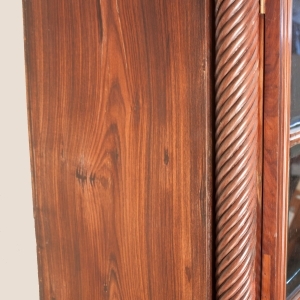 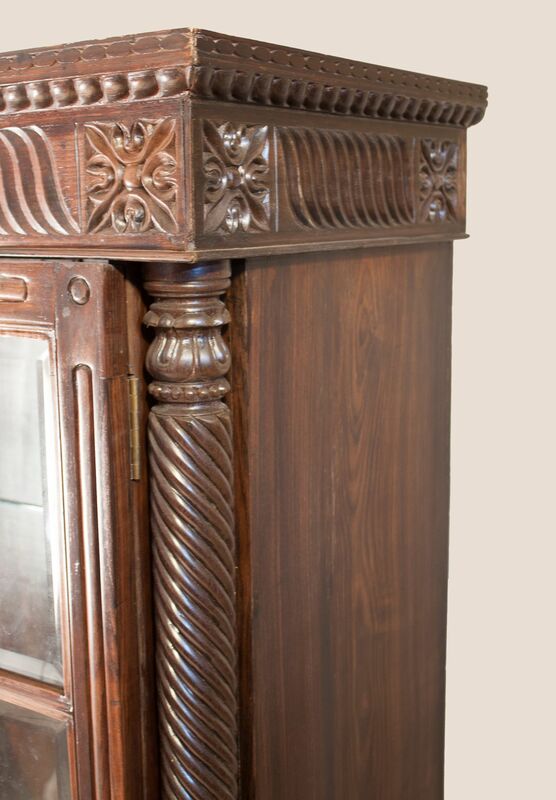 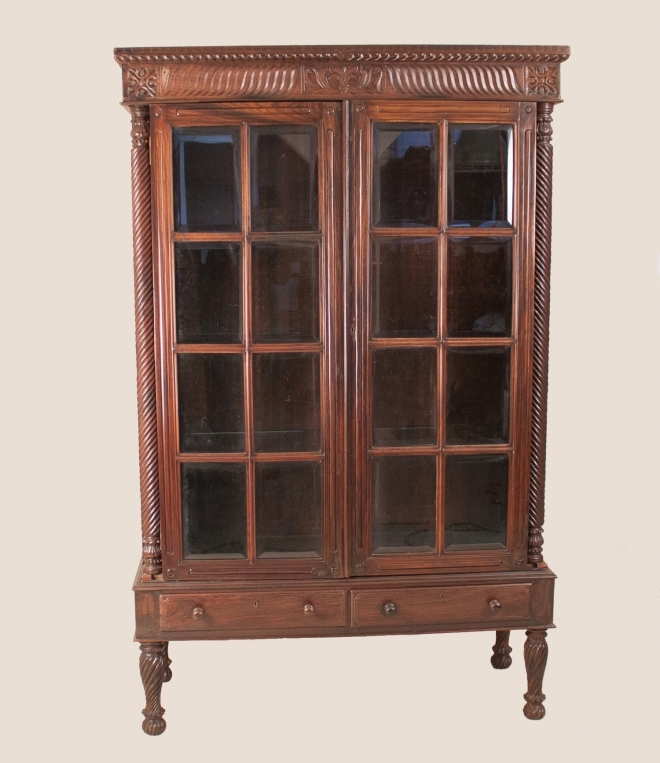 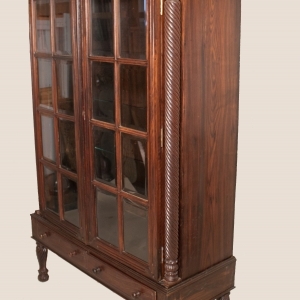 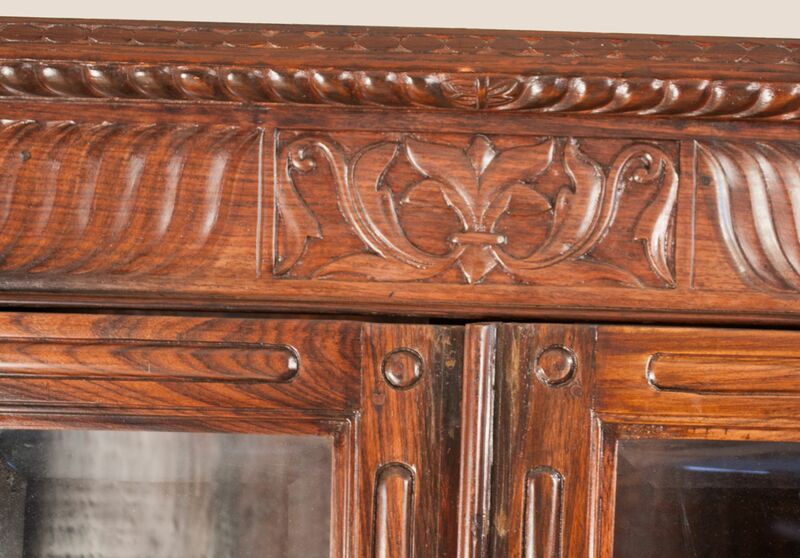 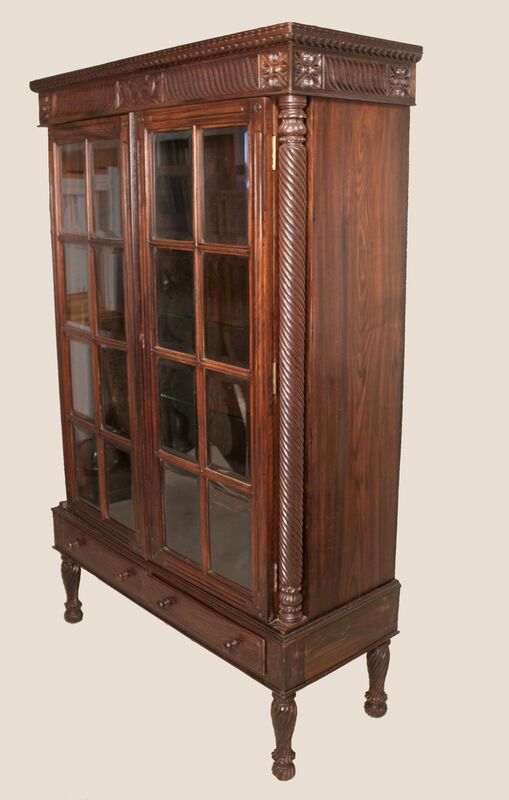 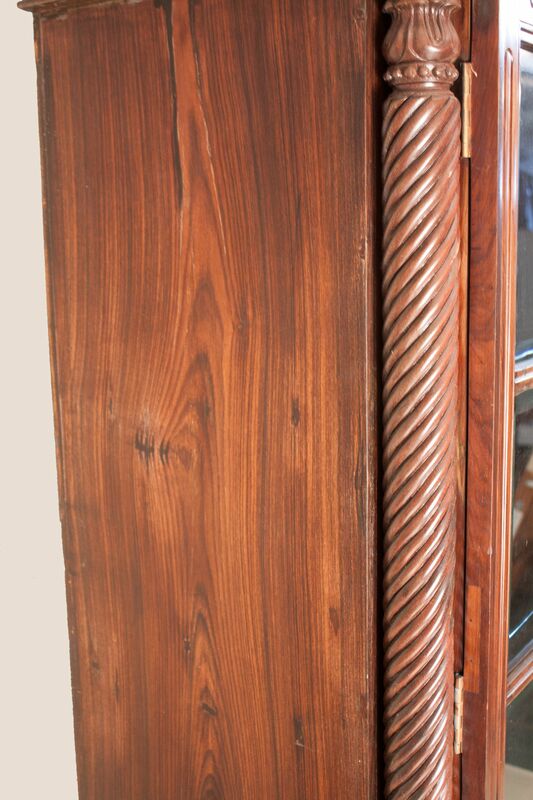 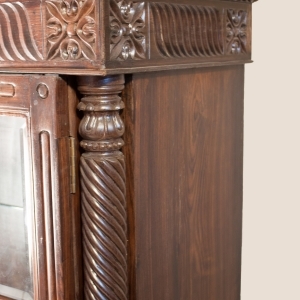 A carved and gadrooned rosewood cabinet with paned, beveled glass doors from British India, circa 1940. 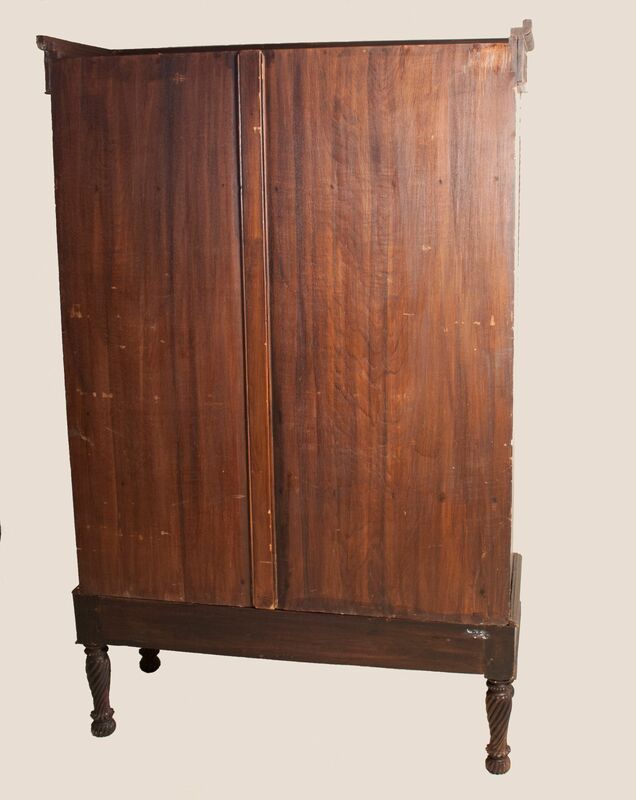 This mid-century British Colonial piece is crafted in two parts, with a locking cabinet with key sitting atop a two-drawer stand. 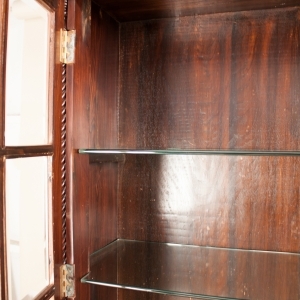 Three 3/8" thick sturdy glass shelves provide ample storage. 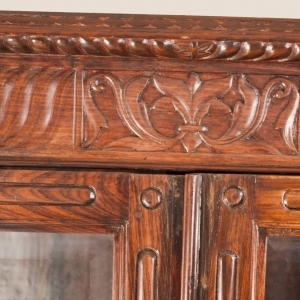 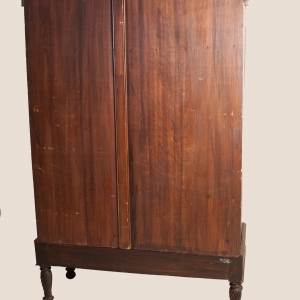 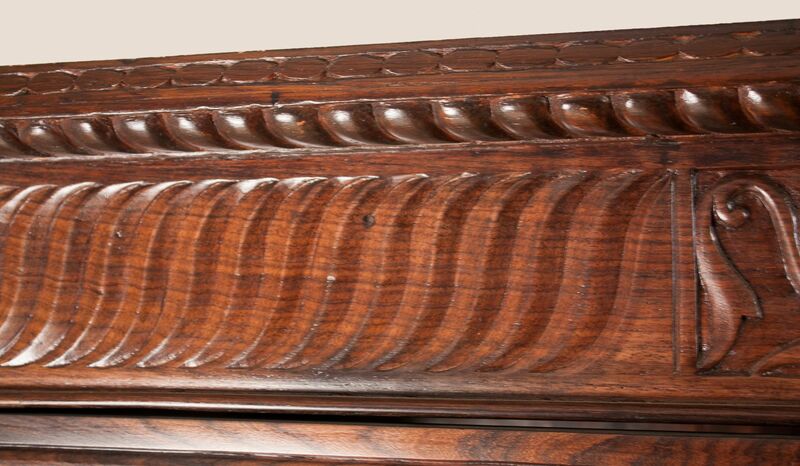 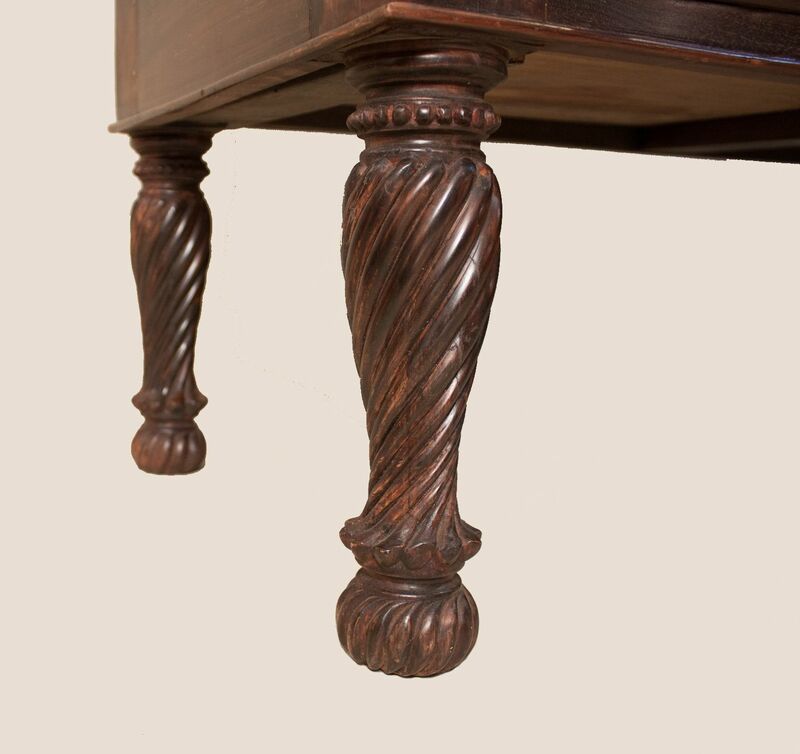 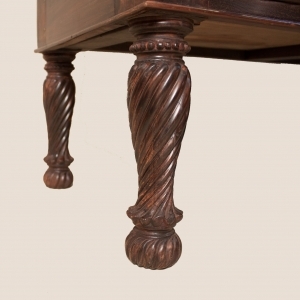 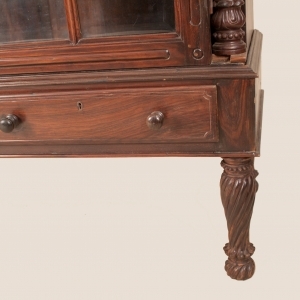 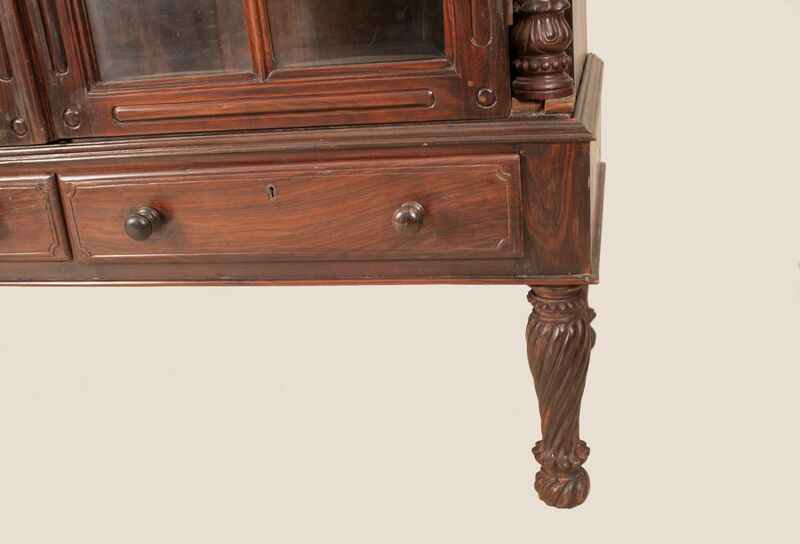 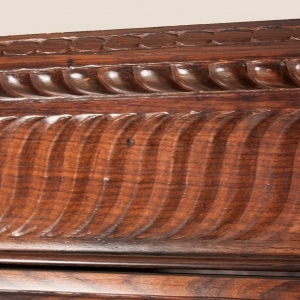 The back of the cabinet is constructed from two pieces of mahogany. 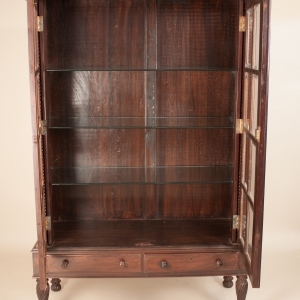 It will serve dutifully as a bookcase, display case or storage cabinet. 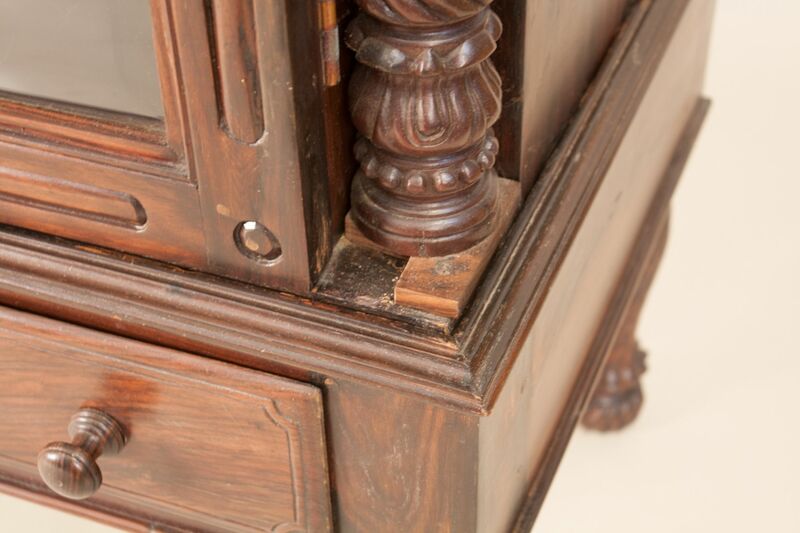 Notes: Scratches on some of the original glass panes. 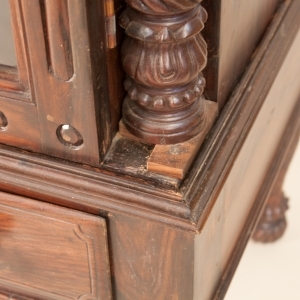 Minor spot finishing blemishes. 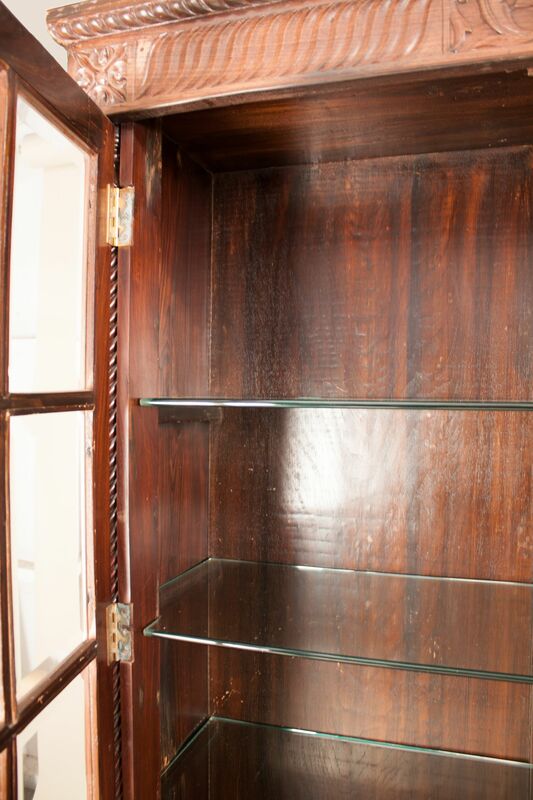 Insignificant chip on back corner of one of the glass shelves.